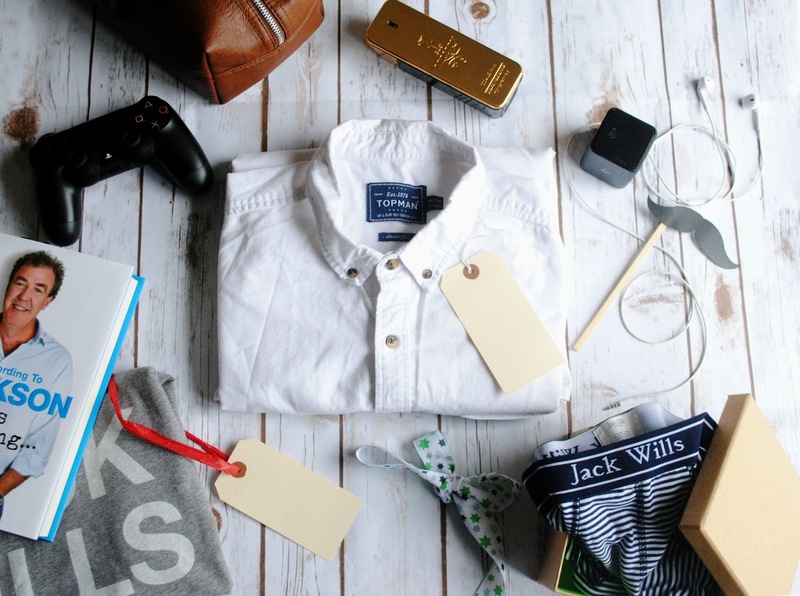 Valentines Day Gifts For Him. | H A Y L V O G E L.
A Nice Shirt - This is always a winner! Men always need a smart shirt so this is bound to make him smile. 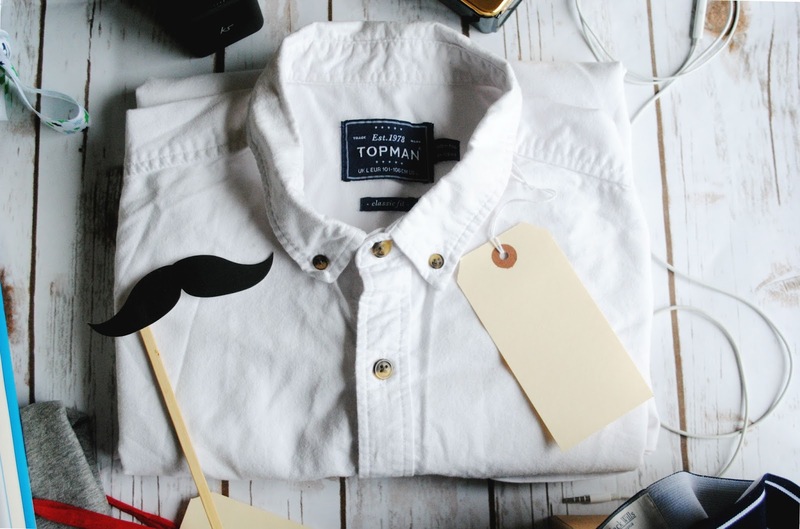 It doesn't have to be a mega expensive shirt either, this one is from Topman and is the perfect crisp white shirt - great with a pair of jeans and some smart shoes. Music Speaker - GREAT IDEA. 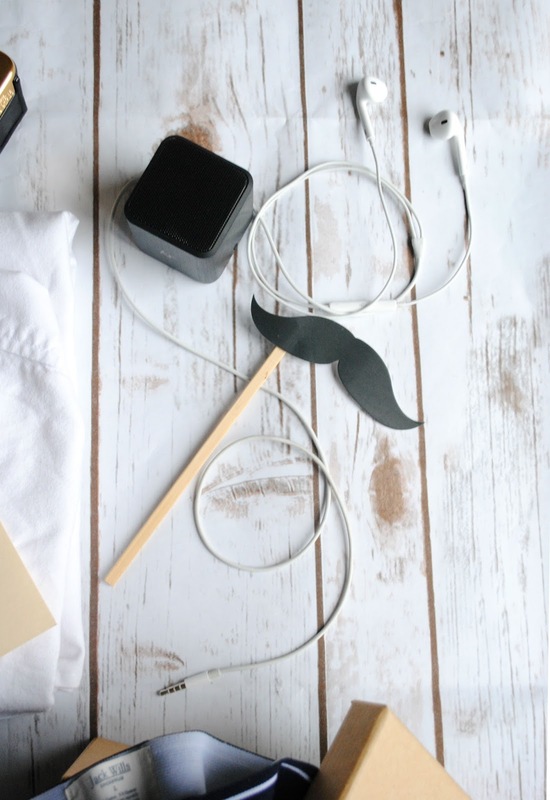 You can pick up little portable bluetooth speakers pretty much everywhere, including Tesco's so you don't have to go out and spend a load of money on a good present that someone will love. They are great for listening to your tunes in the shower or wherever you please! Headphones - Headphones are always a good present in my eyes. Everyone always needs an extra pair of headphones.. they are so easy to lose, get tangled up or break. The headphones featured in this post are from Apple. Similar here. A New Wash Kit Bag - Handy for the travelling man who wants to rock up with a fancy wash kit. Everyone needs somewhere to put there toothbrush and deodorant, they travel in style too you know?! I picked this one up for Jon from Primark and it looks just as nice as a real leather one.. perfect present for the fashionable man. A New Book - A book is a great present if you're really stuck for choice. Everyone loves a good book every now and again so buying a book from your partners favourite celebrity or idol is always a very thoughtful present! 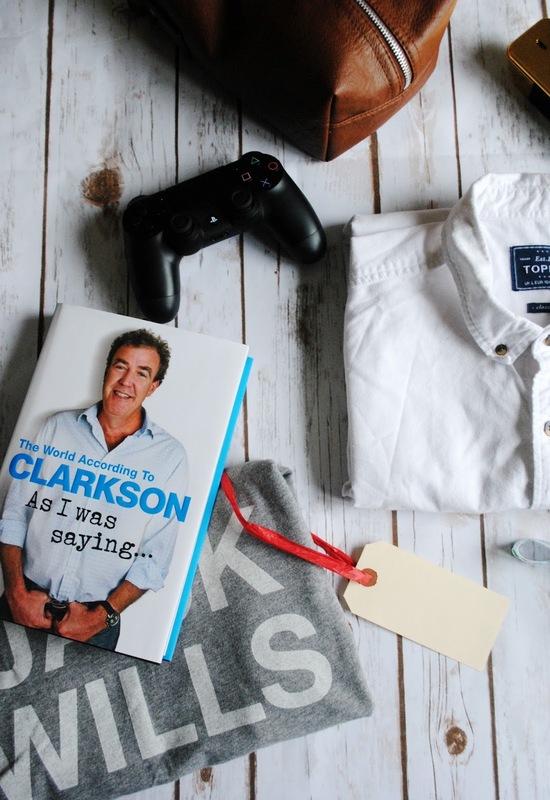 Jon loves Top Gear and all of the three presenters, so Jeremy Clarkson's new book was a fab choice. Their Favourite After Shave - Men love there spray just as much as us ladies love our perfume, so don't forget to treat your man with a fresh new bottle of his favourite after shave - a very great and thoughtful present that he's bound to love! The one featured in this post is the gorgeous Paco Rabanne 1 million Eau De Toilette spray. T-shirt, Underwear, Socks & Hoodies - If you know your other half well enough to know there style clothes is always a good present. You can't go wrong with a new t-shirt or hoodie, everyone always needs more of those and guess what? They make the perfect gift too! 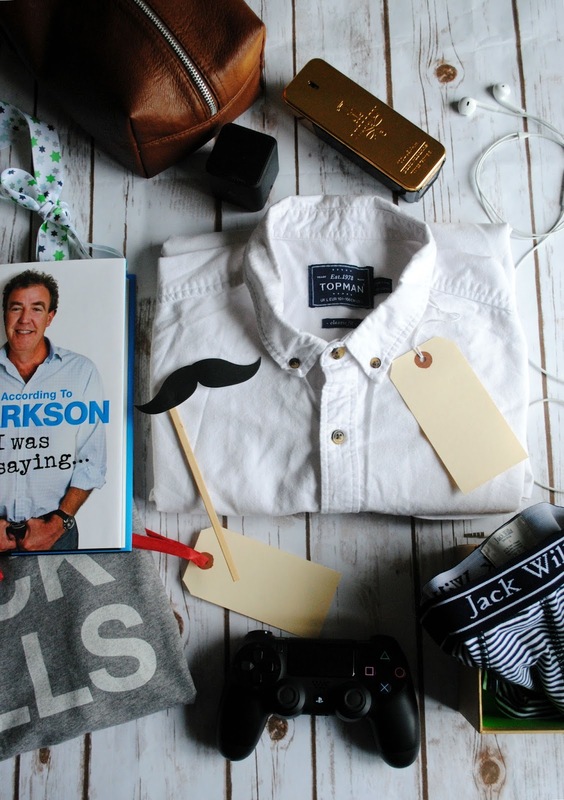 Jack Wills have a great variety of t-shirts and comfy wear, so I'm sure you'd find the perfect thing. Playstation/Xbox/Computer Game - I'm definitely not saying you need to go all out and buy your other half a brand new gaming device, as that can be awfully expensive (by all means buy one if your budget allows you too, I'm sure they would love you forever!) Most men already have one and are obsessed with playing it a lot.. *eye roll from a girlfriend who knows the playstation struggles* so buying a new game or some points is always a good idea. You can buy gift cards with some xbox or playstation gaming points (don't ask me) and I'm sure they'd appreciate the kind gesture of us trying to understand the obsession. A win win situation all round! I hope this has given you the Valentine's inspiration you needed, and I hope you all have a fabulous day. Make sure you let me know what you all get up to! I'm sure they'll be a cheeky post about how I spend my day. Such a cute post, I love that shirt! !